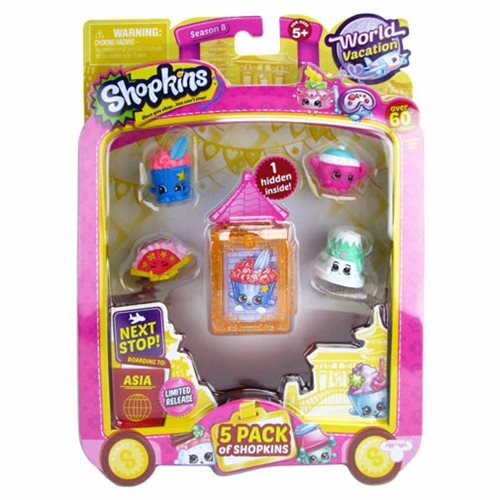 Get ready to travel with Shopkins! This Shopkins Series 8 Wave 2 Mini-Figure 5-Pack includes characters from different countries and lands. Play and explore the world with this next season of Shopkins! Ages 5 and up. Please note: Actual contents may vary. Ages 5 and up.